We have created the following presentations of Sys-Manage CopyRight2 and Sys-Manage CopyRight2 Reporting Edition. The videos are in MP4 format. You can watch the presentations directly in your browser or download them to watch them using your favorite media player. The videos use onscreen notes during the demonstration to explain the steps being taken, there is no audio. This short video shows you how easy it is to install CopyRight2 onto a computer, in this case a Microsoft Windows® 2016 file server. In this video we showcase how easy it is to migrate files, folders, NTFS permissions, file shares, share level permissions and local groups including members from one Windows® 2008 R2 to another Windows® 2012 R2 member file server in the same domain. This video explains how to use CopyRight2 to migrate file shares, NTFS permissions, Active Directory users and groups between cluster servers configured as members in two different domains. In this example the source cluster is running Windows® 2003 R2 and the destination cluster Windows® 2012 R2. In this video we show you how to install the optional PasswordSync Addon in order to extend CopyRight2's migration of user accounts to passwords. In this video you can see how to migrate from a Windows® 2012 R2 file server onto a NetApp® Filer. This video shows Sys-Manage CopyRight's Active Directory migration functionality. 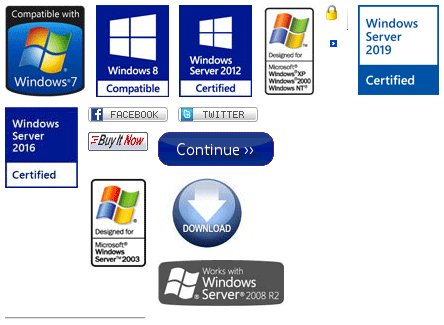 In this example a Windows® 2008 R2 Active Directory DOMAINA.COM containing users, groups, contacts, distribution lists and OUs is migrated onto a Windows® 2019 domain controller of DOMAINB.COM. Opposed to Microsoft's ADMT, CopyRight2 does not require a trust between the two domains, neither any agents that have to be installed, nor does it require a SQL server instance. As it supports sidHistory-less migrations, there is no security risk attached to it. For simplicity, in this video, the account used to run the migration has the same password in both domains (a.k.a. pass-through authentication), otherwise the GUI would prompt for authentication. This videos explains how to migrate local group and local user accounts (including passwords) between a Windows® 2008 R2 and a Windows® 2012 R2 member server in the same domain. This video explains how to update attributes of Active Directory objects using Sys-Manage CopyRight2. In this case the profile and home folder path is updated including the remote desktop specific attributes. This video demonstrates how to use a single CopyRight2 job to migrate a Windows 2008 R2 FTP server onto a Windows 2012 FTP server, migrating 10000 users including passwords. Scanning a computer and an Active Directory collecting the data and producing file based output. This video explains how to install Microsoft SQL Server 2016 and Reporting Services for use with CopyRight2 InfraStructure Reporting. This video showcases scanning computers and an Active Directory dynamically producing a MS SQL Server database. In this video you can see how to use the pre-installed Reporting Server reports to analyze data collected during computer and Active Directory scans. This video shows how easy it is to build custom reports using CopyRight2's preinstalled Reporting Server data model.